This SUV has 172 horsepower and a 2.4 liter engine; a CVT and a 6 speed automatic transmission are optional. The vehicle is a bit underpowered for this classification. 2.4 liter, 172 horsepower I-4. You won't get stuck, but don't plan on outrunning anybody around you. Acceleration is middling at best. Having said all of that, no one will go wrong with this proud staple; it simply is not a buyer's first choice. For anyone that needs a tried and true vehicle for off road work, the Patriot is a work horse. Complaints include not enough leg room for back seat passengers. Easy to use illuminated cup holders. Definitely appreciate the customized seating and steering position with the tilt-column. 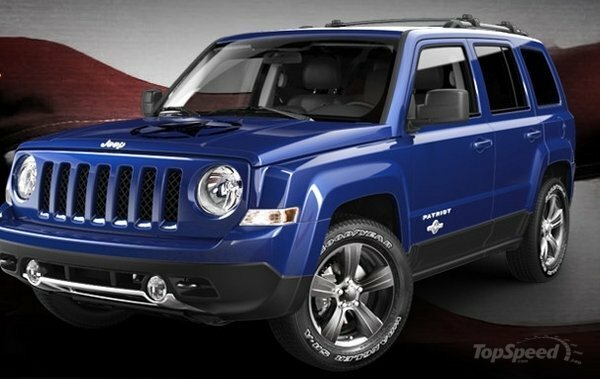 I've always liked the Jeep Patriot. Its compact, drives well, works especially well for those living in urban areas, and has plenty of room for all the stuff that a small, young family needs to have with them. But its fit and finish, particularly in the lamentable interior in the lower ranked models, just don't cut it. Even the seat tracks are exposed, revealing cheap black metal, a disheartening small touch. If this model does survive, it's going to need a vast redo to just break even with all of the models in the small crossover market that have just blown its doors off in recent years. This is the old Chrysler we're looking at here, I would caution--it's about as far from the "new" Chrysler as it could possibly be. Airbags galore, 4 Wheel Disc Brakes, Hill start assist. Brake assist, 4 Wheel ABS. Received a POOR Safety results from the Insurance Institute for Highway Safety in the category of "Small Overlap Front Test Results". Just about the same thing found on everybody else's products, nothing special. Air conditioning, power outlets for ease of powering up tech gadgets when traveling. Navigation system. 4-speaker stereo+Stereo system. Auxiliary audio jack and a rechargeable LED lamp. Bluetooth for hands free talking. Heated front seats. Air conditioning, power assisted steering, windows, brakes, etc. ; rear 60/40 split seat that reclines (a very nice touch I might add!) cruise control, brake assist, hill start assist, all kinds of power outlets everywhere, tilt steering column full length floor console, luxury front and rear floor mats (! ), illuminated cup holders, and much more. Price cited above includes lots of options like a security and cargo convenience group, standard 6 speed automatic transmission, NAV, etc. This is the biggest hit to the Patriot from auto writers across the board and certainly from our team. At a time with style is paramount, the Patriot is lackluster in its rugged design, plastic and PVC laden dash. Feels quite outdated in 2014. It's true blue Jeep all the way. It looks a lot like a smaller version of the good looking classic Jeep Cherokees (not the new one! ), and in my book that's not a bad thing. Proves that classic designs can work in today's market. 5 year/100,000 mile powertrain warranty. 3 year/36,000 mile basic warranty. 5 year/100,000 mile roadside assistance plan. 5 year/100,000 mile powertrain limited warranty, 3 year or $36,000 mile basic limited warranty and 5 year or 100,000 mile roadside assistance plan with certain restrictions.